This coupon is working on April 15, 2019. Cost Plus World Market is a specialty import retail store. They are a subsidiary of the modern home brand Bed, Bath & Beyond. Cost Plus World Market was founded in 1958 at Fisherman’s Wharf in San Francisco, California. There are over 249 Cost Plus World Market retail stores across the United States. The company’s current headquarters are in Oakland, California. 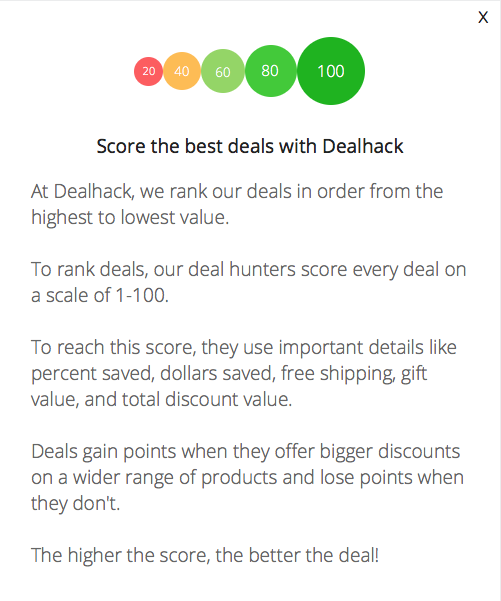 Our team here at Dealhack is always updating the coupons and promo codes on this page (as often as twice per day) because we want to help you save. Grab an offer and start shopping or continue reading to learn more about what they offer. Grab a World Market coupon today and save on a variety of items including furniture, outdoor, home and décor, as well as dining and kitchen items. You can also save on food and drink, gifts and accessories, and seasonal items. A full range of furniture is available for dining rooms, living rooms, home offices, small places, bedrooms, bathrooms, outdoor areas and patios. Some of the offers on this page may be in the form of a promo code. To use a promo code, just click on the offer and copy the code. Add items to your shopping cart and apply the code at checkout to get the discount. It’s that easy. When you shop at World Market, you’ll find savings on home decor products like pillows and throws, curtains, rods, window coverings, bedroom, bathroom, laundry, closet organization, and rugs. Other home and décor items you can save on include wall art and décor, lighting, baskets, candles and candle holders, decorative accessories and home office décor. If you’re looking to improve your dining and kitchen, get a great deal on dinnerware, serve-ware, drinkware, flatware, bar, table linens, cooking and baking, coffee and tea time, kitchen tools and storage and party essentials. Food items available on the site include baking products, drinks, candy, chocolate, drink mixes, cocoa and seasonal foods. Customers can register their email addresses to receive ten percent off of their first purchases. Lastly, follow Cost Plus World Market on Facebook, Twitter, and Instagram. You can also get in touch with them via email or on the phone by dialing 1-877-967-5362. Are you excited to improve your home? Save on thousands of items when you shop for the house and home products at Cost Plus World Market! Join the World Market Rewards program and activate your passport. You’ll get 15% off your next order. Would you like to save 10% off of your next order? Register for the company’s email newsletter to receive the discount. The company offers monthly limited-edition products from around the world. Looking for a hot deal? Check the sale section of the website. Need inspiration? Check out the most popular products from World Market on Pinterest. What is Today’s Best Cost Plus World Market Promo Code? The best Cost Plus World Market promo code right now is 20OUTDOOR. This code is for '20% off Outdoor and Free Shipping on $250+'. Copy it and enter it on the Cost Plus World Market checkout page to use it. All orders over $150 qualify for free shipping. Items in their original condition can be returned within 60 days of purchase.